Gary has worked in Manufacturing and Finance for many years serving as a Manufacturing Supervisor, Quality Engineer, Financial Analyst, Accounting Supervisor, and Strategic Financial Analyst with Kemet Electronics Corporation. Gary has a BA from Furman University in Business Administration and an MBA from Clemson University and was admitted to the Ph.D. program in Industrial Management at Clemson University. He served as a Deacon at First Presbyterian Church in Greenville from 1999 to 2005 and as Chairman of the Board for Piedmont Women’s Center, a Christian-based Crisis Pregnancy Center, for 2003 and 2004, and he was also Treasurer from 1999 to 2003. 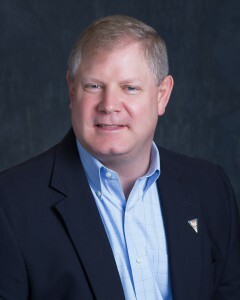 In addition, he was on the Board of Directors for the Society of Manufacturing Engineers and was Local Chair for SME in 2004 and Program Chair for SME in 2007. In 2005, he was inducted into The President’s Circle for SME. He served on the Board of Directors for APICS and served as Newsletter-Chair of the Chapter in 2007 and local Chairman for 2008, and from 2009 to 2011 he was the Vice President of Careers. He served from 1999 to 2003 on the Board of Directors for the Council of Logistics Management. Gary has also served on the Publicity Committee in 2010 and served on the Membership Committee from 2010 to 2017 for the Greenville Society of Human Resource Management. In 2005, Gary served as the Chairperson of the judging committee for the Silver Crescent Small Manufacturing Award. In 2010, he joined the Board of Directors of Innovision Technology Awards. In 2011, Gary served as a Judge for the Clemson University Arthur M. Spiro Institute for Entrepreneurship Leadership. In 2012, Gary volunteered to become the Ambassador for the State of South Carolina for Hunt of a Lifetime and is organizing the SC Fundraising Extravaganza Weekend; a camp to teach youths the basics of marksmanship, hunting, and cooking native wild game. In 2012, Gary was recognized as a Resource Partner with SCRA and SC Launch. In 2013, Gary formed Brothers of Integrity, a brotherhood of Christian men in executive roles; they meet several times a year and support numerous ministries. In 2016, Gary served as one of the founding members of the SC Christian Chamber of Commerce and was the speaker for the state in November 2016. In 2017, Gary accepted the nomination for the Co-Chair of the Honor Foundation for SC. The mission of THF (www.honor.org) is to assist Navy SEALS and Army Green Berets to transition out of the military and find their next mission in life. Gary specializes in recruiting in the fields of Executive Management, Manufacturing Management, Engineering, Quality, Finance, Accounting, and Supply Chain Management.